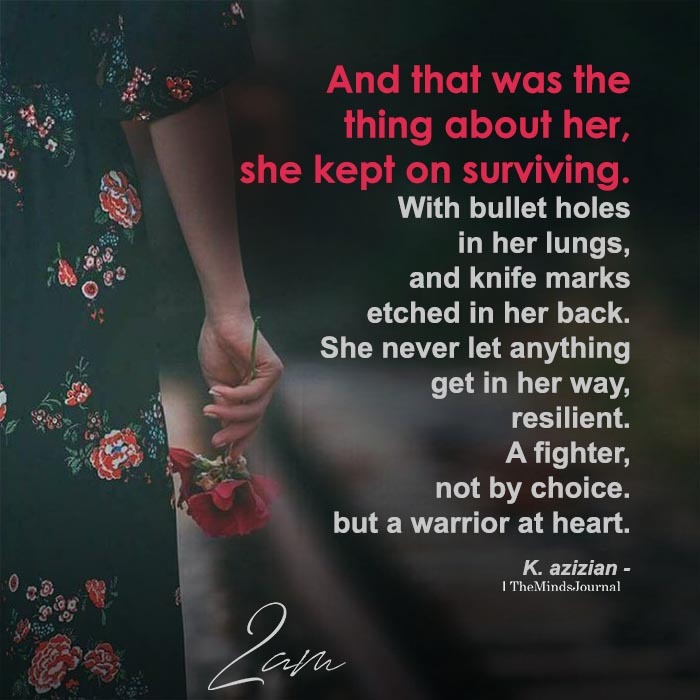 And that was the thing about her, she kept on surviving. With bullet holes in her lungs, and knife marks etched in her back. She never let anything get in her way, resilient. A fighter, not by choice. but a warrior at heart.